Odes and Other Poems London 1896: William Rider; London: Village Press, 1975. Poems London 1899: William Rider; London: Village Press, 1975. Lucifer (1905) London: Macdonald, 1956; London: Village Press, 1974. Wolf's Bane New York 1916: G. Arnold Shaw; London: Village Press, 1975. Mandragora New York 1917: G. Arnold Shaw. Poetry. Samphire New York 1922: Thomas Seltzer. Poetry. Horned Poppies: New Poems North Walsham: Warren House Press, 1986. Singular Figures: Six Lectures Ed. and intr. Paul Roberts. Colchester: Footprint Press, 1989. Visions and Revisions New York 1915: G. Arnold Shaw; London: London: Village Press, 1974. One Hundred Best Books New York1916: G. Arnold Shaw, London: Village Press, 1974. Suspended Judgments New York 1916: G. Arnold Shaw; London: Village Press, 1975. James Joyce's Ulysses, an appreciation: 1923; London: Village Press, 1974. William Blake. Little Blue Books, 1923; London: Village Press, 1974. Dorothy M. Richardson London 1931: Joiner and Steele; London: Village Press, 1974. Dostoievsky London 1946: The Bodley Head; London: Village Press, 1974. Rabelais London 1948: The Bodley Head. (The Menace of German Culture); London: Village Press, 1975. The Complex Vision New York 1920: Dodd, Mead; London: Village Press, 1975. Psychoanalysis and Morality San Francisco 1923: Jessica Colbert; London: Village Press, 1975. The Religion of a Sceptic New York 1925: Dodd, Mead; London: Village Press, 1975. The Secret of Self-Development Girard 1926: Little Blue Books; London: Village Press, 1974. The Art of Forgetting the Unpleasant Girard 1928: Little Blue Books; London: Village Press, 1974. The Meaning of Culture New York 1929: W. W. Norton; London: Village Press, 1974. Is Modern Marriage a Failure? A Debate [John Cowper Powys and Bertrand Russell] New York, 1930; Warren House Press, 1983. In Defence of Sensuality New York 1930: Simon and Schuster; London: Village Press, 1974. A Philosophy of Solitude New York 1933: Simon and Schuster; London: Village Press, 1974. The Art of Happiness New York 1935: Simon and Schuster; London: Village Press, 1975. Mortal Strife London 1942: Jonathan Cape; London: Village Press, 1974. The Art of Growing Old London: Jonathan Cape, 1944; London: Village Press, 1974. Obstinate Cymric. Carmarthen 1947: Druid Press; London: Village Press, 1973. In Spite of: a Philosophy for Everyman London 1953: Macdonald; London: Village Press, 1974. Wood and Stone New York 1915: G. Arnold Shaw; London: Heinemann, 1917; London: Village Press, 1974. Rodmoor New York 1916: G. Arnold Shaw; London: Macdonald, 1973. After My Fashion (1919) London: Picador, 1980. Ducdame New York 1925: Doubleday; London: Grant Richards, 1925; London: Village Press, 1974. A Glastonbury Romance New York 1932: Simon and Schuster; London: The Bodley Head, 1933; London: Macdonald, 1955 and 1966 (new ed. with author's preface); London: Picador, 1975; New York: The Overlook Press, 1987. Weymouth Sands New York 1934: Simon and Schuster; London: The Bodley Head, 1935. Published in England, cut, as Jobber Skald. Published under the original title. London: Macdonald, 1963. Cambridge: Rivers Press, 1973; London: Picador, 1980. Maiden Castle New York: Simon and Schuster, 1936; London: Cassell, 1937; London: Macdonald, 1966; London: Picador, 1979; Cardiff: University of Wales Press, 1990 (ed. Ian Hughes, restores cut sections). Set in Dorchester. Owen Glendower New York 1940: Simon and Schuster; London: The Bodley Head, 1941; Bath: Cedric Chivers, 1974; London: Picador, 1978. Porius: A Romance of the Dark Ages London 1951: Macdonald; New York: The Philosophical Library, 1952; London: Village Press, 1974; Hamilton: Colgate University Press, 1994. The Owl, The Duck, and - Miss Rowe! Miss Rowe! Chicago 1930: The Black Archer Press; London: VP, 1975. Morwyn, or, The Vengeance of God London: Cassell, 1937; VP, 1974; London: Sphere Books, 1977. The Inmates London 1952: Macdonald; New York: The Philosophical Library, 1952; VP, 1974. Atlantis London: Macdonald, 1954; Bath: Cedric Chivers, 1973. The Brazen Head London: Macdonald 1956 and 1969; London: Picador, 1978. Up and Out London: Macdonald, 1957; VP, 1974. Homer and the Aether London: Macdonald, 1959. All or Nothing London: Macdonald, 1960; London: Village Press, 1973; Calcutta: Rupa, 1981. Romer Mowl and Other Stories St Peter Port: Toucan Press, 1974. Three short stories. Real Wraiths London: Village Press, 1974. Two and Two London: Village Press, 1974. You and Me London: Village Press, 1974. Paddock Calls Intr. Charles Lock. London: Greymitre Books, 1984. Play, written in 1922. Three Fantasies Manchester: Carcanet Press, 1985. Confessions of Two Brothers With Llewelyn Powys. Rochester 1916: New York; London: Sinclair Browne, 1982. Autobiography (1934). Översatt av Sven Erik Täckmars, kommer att ges ut av Svenska John Cowper Powyssällskapet. An Englishman Upstate London: Village Press, 1974. The Diary of John Cowper Powys, 1930. Ed. Frederick Davies. London: Greymitre Books, 1987. The Diary of John Cowper Powys, 1931. London: Jeffrey Kwintner, 1990. Petrushka and the Dancer: The Diaries of John Cowper Powys, 1929-39 Sel. and Ed. Morine Kirssdottir. Manchester: Carcanet Press; New York: St Martin's Press; Paris: Alyscamps Press, 1995.
Letters of John Cowper Powys to Louis Wilkinson 1935-53. Ed. Louis Wilkinson. London: Macdonald & Co (Publishers) Ltd. 1958. John Cowper Powys - Letters to Nicholas Ross. Selected by Nicholas and Adelaide Ross. Ed. Arthur Uphill. London: Bertram Rota, 1971. John Cowper Powys - Letters to Glyn Hughes Ed. Dr. Bernard Jones. Ore Publications, 1971. John Cowper Powys - Letters 1937 - 54. Ed. with Introduction and Notes by I. C. Peate. Cardiff: University of Wales Press, 1974.
Letters of John Cowper Powys to his Brother Llewleyn. Volume I, 1902 - 1925. Edited and Selected by Malcolm Elwin. London: Village Press, 1975. The best starting point, probably Powys's best letters. Letters of John Cowper Powys to his Brother Llewleyn. Volume II, 1925 - 1939. Edited and Selected by Malcolm Elwin. London: Village Press, 1975.
Letters to Henry Miller from John Cowper Powys. London: Village Press, 1975.
Letters to Clifford Tolchard from John Cowper Powys London: Village Press, 1975.
Letters from John Cowper Powys to C. Benson Roberts. London: Village Press, 1975. The Letters of John Cowper Powys to Sven-Eric Tackmark London: Cecil Woolf, 1983. The Letters of John Cowper Powys to G. R.Wilson Knight. Ed. Robert Blackmore. London: Cecil Woolf, 1983. The Letters of John Cowper Powys to Ichiro Hara. Ed. Anthony Head. London: Cecil Woolf, 1990. The Letters of John Cowper Powys to Hal and Violet Trovillion London: Cecil Woolf, 1990. The Love Letters of John Cowper Powys to Frances Gregg Vol. 1. Ed. Oliver Marlow Wilkinson, London: Cecil Woolf, 1994. 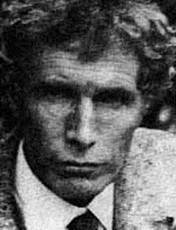 Glen Cavaliero John Cowper Powys: Novelist. London: Oxford University Press; Clarendon Press, 1973. Richard Perceval Gravesj The Brothers Powys . Oxford: Oxford University Press, 1983. Kenneth Hopkinsj The Powys Brothers: a Biographical Appreciation. Norfolk: Warren House Press, 1972. Belinda Humfrey, ed, Essays on John Cowper Powys. Cardiff: University of Wales Press, 1972. G. Wilson Knightj The Saturnian Quest - a chart of the prose works of John Cowper Powys. London: Methuen & Co. Ltd, 1964. Morine Krissdottirj John Cowper Powys and the Magical Quest. London, Macdonald & Jane's Publishing Group Ltd, Macdonald General Books, 1980. Janina Nordius: I Am Myself Alone. Solitude and Transcendence in John Cowper Powys. Gothenburg Studies In English 1997. Eivor Lindstedt: John Cowper Powys: Displacements of Voice and Genre. Department of English at Lund University 2004.